An essential part of any business is selling your products or services. Selling online (also known as ecommerce) used to be an expensive and frustrating process for the solopreneur. You used to have to pay for a merchant account, buy an expensive SSL certificate and then pay for a shopping cart solution. Fortunately, the process is much easier now. You can start selling your products or services in minutes and only pay per transaction. This is huge. Gumroad is a relatively new service that lets you sell digital files. A few examples of what people sell include ebooks, artwork, streaming video, audio files and software. Unlike E-Junkie, Gumroad doesn’t charge a monthly fee or limit how many products you can sell. You only pay when someone buys a product, and even then, it’s only 5% + $0.25 per transaction. Gumroad uses Stripe, another relatively new service that is disrupting ecommerce. Stripe enables businesses to easily accept credit card payments and Gumroad takes care of delivering your digital products to your customer once they’ve paid. To give you an idea of how easy it is to get started with Gumroad, I had a product for sale within 5 minutes of signing up. If you’re a solopreneur who sells your services rather than digital products, Gumroad doesn’t help much. But you’re in luck. I recently came across another service that lets you easily accept payments for services. It also uses Stripe for the credit card transactions. MoonClerk (I’m not sure where the name came from) does charge a monthly fee ($9/month to begin with) as well as charging a fee for each transaction. I haven’t found a service that offers no monthly fee for service-based payments. But it’s still easy to use and lets you focus on providing value in your services instead of messing around with payments. I also like that it’s small enough that I got a personal email from the CEO when I signed up. We had a pleasant email conversation and I found out he also runs a non-profit called Rice Bowls. I’m not a fan of Paypal. My biggest gripe is that it pushes your customers to sign up with Paypal even though they don’t have (or want) to. Many people don’t realize you can pay with a credit card using Paypal checkout, but that’s because Paypal doesn’t want people to know. And the user experience is so much nicer with Stripe. You be the judge. 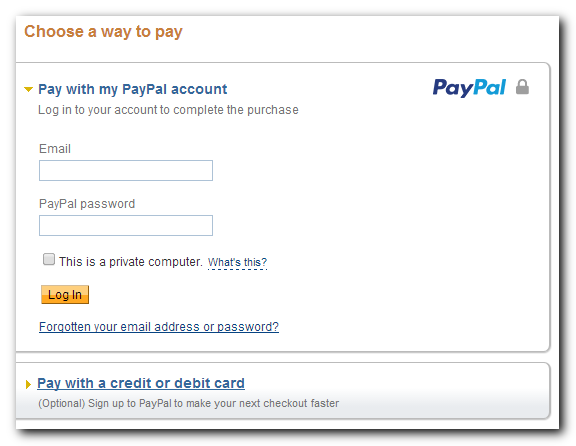 Here’s the checkout experience your customers see when you use Paypal. Notice how much you had to scroll down and how many fields there were? 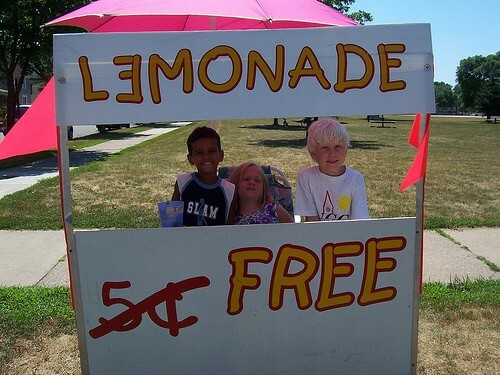 Remember, this is what your customers see when they buy from you. This is what they have to wade through when they want to pay you money. And I have no idea why the Pay button is so tiny. It’s like an afterthought. The Paypal logo is larger than that little pay button. It gives me the impression that they’re more concerned with promoting their brand than helping you sell your products. 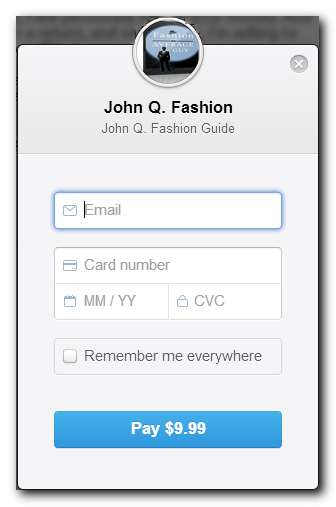 Now look at Stripe’s checkout screen. The screen you’re about to see pops up over your product page, so your customers don’t even leave your site to pay. As you can clearly see, Stripe’s checkout process makes it far simpler and easier for customers to pay you. And Stripe automatically transfers payments into your bank account. Paypal makes you manually withdrawal your money. If that wasn’t enough, another reason I avoid Paypal is their history of freezing accounts for months at a time. Once your account is frozen, you have to deal with their red tape and you have little recourse. Here’s an example of a guy on Reddit who had $70K frozen for 6 months. Fortunately he was able to get it taken care of by tweeting the president of PayPal. As you can tell, I’m a big fan of Stripe but that doesn’t mean you shouldn’t use Paypal. I want to make sure you know what your options are so you can make the best decision for you. Stripe’s international support is growing, but they don’t support as many countries as Paypal. If you’re in a country that Stripe doesn’t support yet, Paypal may work well for you, plus their rates are reasonable. In the end, the best ecommerce solution is the one you use to sell your products.